This set comes with many lovely sentiment and I love that there are great for coloring! 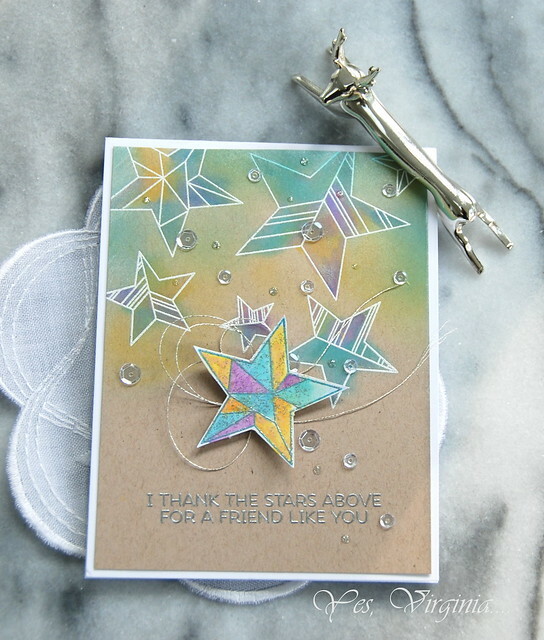 I white-embossed the images on Neenah kraft card stock at first and added some colors with Distress Oxide. It didn't look like much at first. Once I applied more colors and added the popped up star, it begin to take shape. 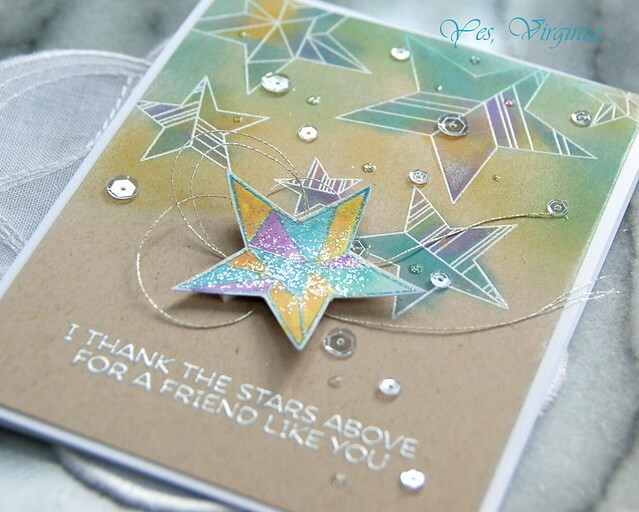 I applied Nuvo Silver Glitter Drops to the star with an old paint brush. To highlight the silver scheme, I silver-embossed the sentiment and added silver DMC strings. What a wonderful way to show the way the oxides look against kraft - love your combination of colors! LOVE this card. So beautiful. Guess I know what I'll be trying this weekend! Beautiful card. Your colors are superb!!! Your message is excellent. Super cool and artistic Virginia!! Just love your colorful stars, Virginia!! Gorgeous silver on kraft!! Silver looks fantastic on kraft...it appears almost molten for some reason. The inks also look gorgeous with a dreamy effect. Of course, the Virginia touches make this card shine (no pun intended). WOW.. that's all I can say! Oh Virginia, you do such beautiful work! An amazing card. What a super card, Virginia! 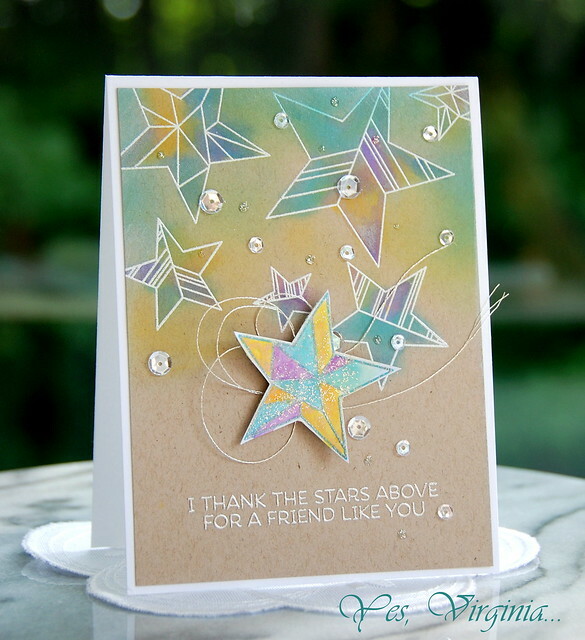 The white embossing on kraft, as well as the soft sponging around the stars, really makes them pop! Love this card!! Beautiful coloring!! WOW WOW WOW! I missed this card before but it is just beautiful!